Imagine you’re sound asleep in a dark and quiet room. You’re comfortable. You don’t want to be disturbed. Now imagine some happy morning person bursts into your room and opens your room darkening curtains, allowing sunlight to flood the space. You open your eyes for a second, but the brightness is too much. Quickly you close your eyes and bury your head under the covers, trying as hard as you can to keep the light out. At this point, some will realize the value in the refreshing sun light. They will throw back the covers and allow their eyes to adjust to the brightness as they rise, ready to start a new day. Others will grumble from under the covers – pleading with their assailant to close the curtains so that they can settle back into the darkness. This is an analogy of what happens when the truth of the Gospel is exposed. 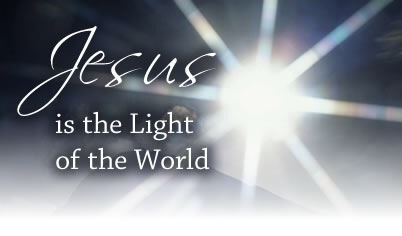 When the light of God’s Word, the Good News of Jesus’ saving sacrifice, shines on a world content in their darkness. So what will you do? Will you see the light of Jesus and embrace him or will you bury your head under the covers to flee from him? Your answer to this question has eternal consequences. You must decide now. The curtain is open and the light is shining. Don’t hide from it and fall back to sleep. The next time the curtain is opened, it may be too late.